MGA Roadster – Britain’s Best Ever Sports Car? The MG car company (MG is an acronym for Morris Garage) was one of the earlier British manufacturers. Their early cars were, somewhat primitive (not unlike most every other manufacturer), but, with few exceptions, the MG name has always been associated with “sports” cars. The MGA roadster is no exception. In fact, if there were ever a quintessential TRUE “sports car”, the MGA has to be near the top of the defining marque for that term. 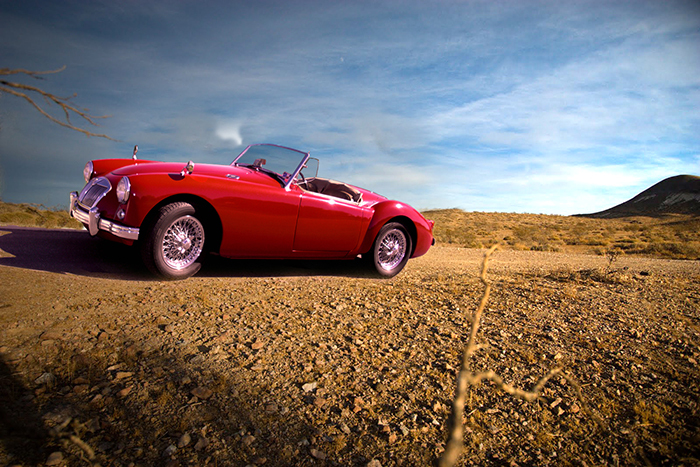 The first MGA model was introduced early in 1956, and was an instant sensation in the automotive press. These cars, as well as their predecessors, were assembled at the company’s plant at Abingdon-on-Thames by true British craftsmen.